A new golf podcast focusing primarily on the women’s professional game has been launched in a year that sees the world’s biggest event in ladies’ golf – The Solheim Cup – return to Scotland. 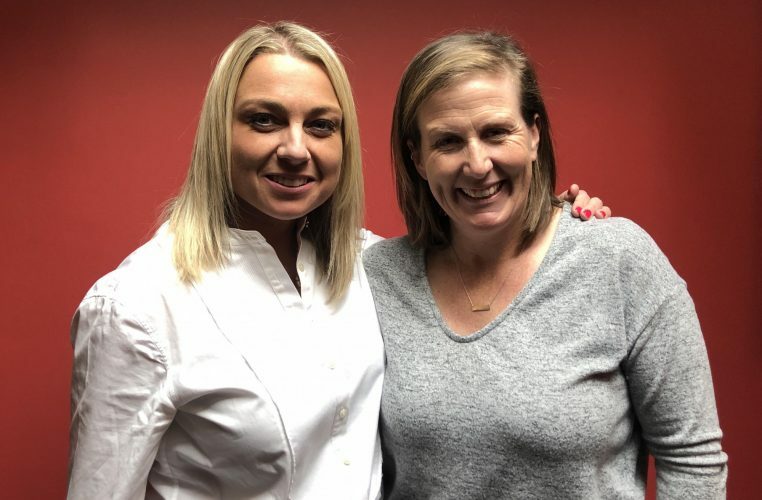 This innovative podcast is the brainchild of sports broadcaster Emma Dodds, who approached friend and Aberdeen Standard Investments golf ambassador Beth Allen to co-host and offer an inside the ropes perspective. The podcast is called ‘On The Dance Floor’ reflecting golfers’ parlance for the green and is dedicated to showcasing, educating and enlightening listeners about ongoing events and achievements within the women’s professional game. This will all be brought to listeners with the good humour and honesty that Beth and Emma have become well known for within golfing circles.  Emma Dodds said: “As someone who’s worked within professional golf for a number of years, I am hugely motivated to highlight the brilliance that exists within the women’s game. We’re well aware of the disparities that exist in golf such as media coverage and prize money, but we can only start to change that by talking about it. The podcast is supported by Aberdeen Standard Investments and VisitScotland, who are both the main sponsors of the Ladies Scottish Open taking place at The Renaissance Club in East Lothian this August, while VisitScotland also has lead responsibility for delivering The 2019 Solheim Cup at Gleneagles in September. Paul Bush, Director of Events with VisitScotland, commented, “As the Home of Golf, we believe it is incumbent upon Scotland to play its part in helping to raise the profile of women’s golf both domestically and across the globe and that’s why we’re delighted to be supporting Emma and Beth with the ‘On The Dance Floor’ podcast. In the first episode, Emma and Beth round up the Tour year so far, in which the players have played in Abu Dhabi, Australia and South Africa, while looking ahead to an exciting format at the forthcoming Jordan Mixed Open. 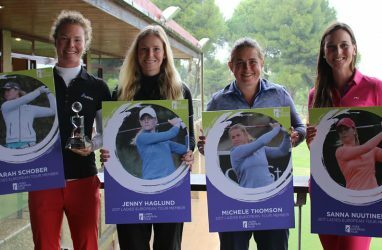 Plus they’re joined by a trio of LET players, 2018 Hero Women’s Indian Open Champion Becky Morgan and Scottish golfers Michele Thomson and Hannah McCook. 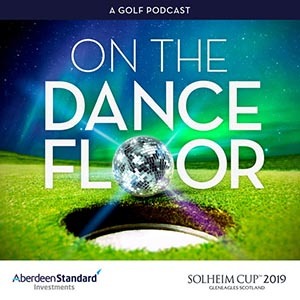 The ‘On The Dance Floor’ golf podcast is available now to download now from Spotify, Acast and Stitcher and will also be on iTunes.